My last post was on December 12, 2015. I’ve missed major holidays and events. “Happy holidays,” “happy new year,” and “happy St. Valentine’s Day,” by the way. I missed my blogaversary. As of February 4, I’ve been blogging for five years—I can’t believe it. And while this isn’t the longest break, it’s the first time I’ve seriously considered stopping. Blogging. Not writing. I’ve been doing plenty of writing. No. That’s not completely true. I’ve been writing. I kind of have been on a hiatus from fiction writing, too. For a while I had a technical writing contract, but that’s not why. I’ve also felt too distracted to write. Why? A lot of life changes. Big and small. Now, the potential for a move to a new state. Away from Maine. Away from Maine? Where I raised two children. 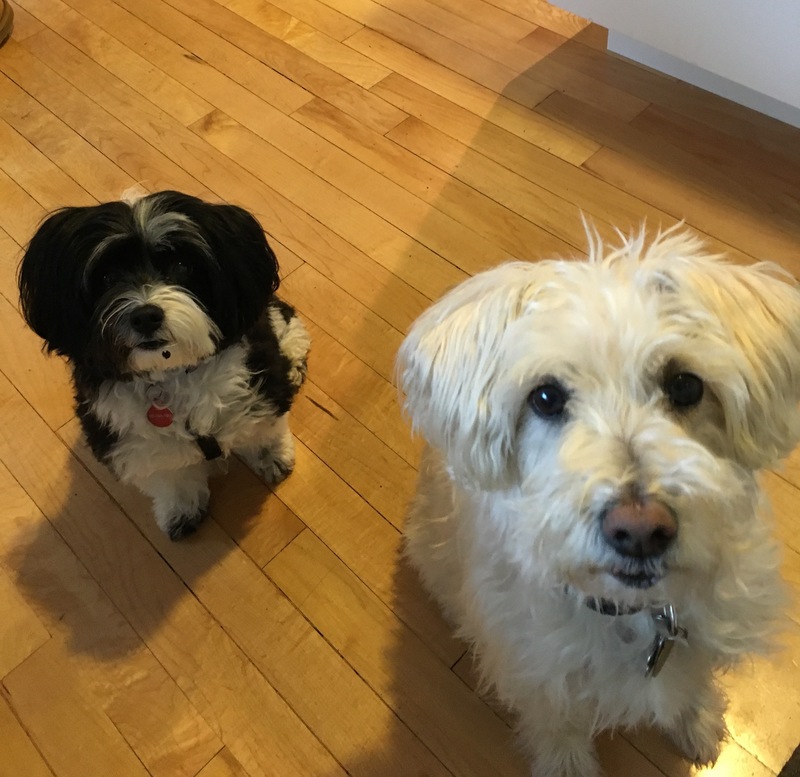 Said good-bye to two dogs. Owned two houses. Have lived the majority of my married life. Have taken hundreds upon thousands of photos and videos. Written millions (yes, I’ve calculated), millions of words. It’s not definite. And if it does happen, it won’t be for a year (or so). But the writing is on the wall. Funny, that particular expression coming to mind. The fact is I can write anywhere—I know because right now I’m writing from a garrison in Newton, Massachusetts, overlooking not a tiny New England town but busy traffic on Walnut Street. Right now it’s like I’ve stepped into another life—because in essence I have. I’m living with and caring for two dogs while their owners are on the other side of the world for the month. When I walk the dogs, I see first familiarity then confusion on the faces of neighbors. Who is this woman? Not the neighbor they expected. The dogs are the same, the person not. If they look carefully enough they’ll see reflected confusion in my eyes. There are times I feel like I’m not myself. Different house, different dogs (my own sweet dog gone over a year ago), different neighborhood, different people. I miss my friends, I miss my life and routines. I know that if I moved to this area permanently, I’d meet new friends, I’d develop new routines, I might even get a new dog. This situation is temporary. The problem is that everything in my life feels pretty temporary right now, and it has for a little while. But here’s what I’ve come to this morning. One thing hasn’t changed: my writing mind. My ideas, my thoughts. My writing. My blogging. Which brings me back full circle to why I will not close down my blog. The opposite. I’ll be blogging more. My goal is weekly (we’ll see). Writing. It anchors me. It’s my lifeline. It’s what keeps me, me. I’m somewhere in the middle. 28,481 words down, 21,519 to go (for NaNoWriMo). Of course to reach a rough draft of the complete novel, I’ve got a lot more than that to write. This week I hit one of lowest points I can remember in my fiction writing experience. Partly because life got in the way. That’s a funny way to describe writing, isn’t it? Sometimes when things go easily and flow (and I’m loving the feeling), I think writing is my life, but it’s really not. This week I had some emotional turmoil (I won’t go into it), and it made me think about giving up. Then, just when I thought things couldn’t get much worse, they did. 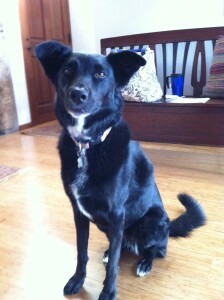 We said good-bye to our beloved Abby dog yesterday. She was my daughter’s puppy, but I spent a lot of time with her. Okay. All the time. As a writer, I spend long (sometimes lonely) hours at the dining room table. But I wasn’t. Abby was always there with me. But lately, Abby slept all the time. She could barely make it across the kitchen without her legs buckling. Robbed of freedom of movement by crippling arthritis, doomed by genetics, Abby wasn’t the most active dog in the world for the past few years—she couldn’t be—but she soldiered on through the pain she lived with daily, never complaining, always ready for a run through her favorite dog park, Twin Brook, albeit more and more slowly. Always sweet and stalwart, steadfast and kind (can a dog be kind?). She was without a doubt the best dog I’d ever met. My soul dog I called her. I thought about quitting NaNoWriMo after we had to have Abby put down (yes, it was our final decision, one more way we had to take care of her, to help her escape her failing body—which is the only way I could think of it). MEH (My Engineer Husband) and I were with her at the end, as was her beloved Dr. Renee (if you have a great veterinarian who’s also a good friend, you know how impossibly important that person becomes in your life). We all cried. Abby leaves a hole in my heart the size of a galaxy, and this morning I feel like I’m in a black hole, but I’m writing. I will finish this book despite my crushing sadness. I will finish this book despite the many things that feel out of my control in my life right now that are struggling mightily to control my ability to write. I will finish this book because writing is my salvation. It’s what wakes me up in the morning, keeps me going in the middle of the day, and gives me dreams and hope at night. Yesterday I got home from my cross-country road trip, and it’s feeling awfully quiet and a little lonely at the dining room table. You see, in addition to all the driving and sightseeing along the way, I also saw some old friends, some family, and I had the opportunity to meet two of my blogging friends, too! The first of my visits was with Shary Hover (@sharyhover on Twitter) and her dog Lola. The three of us took a lovely walk in her San Diego neighborhood—the weather was perfect as only San Diego can be—and then we sat outside in Shary’s backyard. Shary is quite the gardener, let me tell you. It was a delightful reprieve from road weariness to sit at a shady table and have a glass of wine and talk about books and writing with a good friend. I’ve known Shary since I first started blogging over two years ago, and not only are we blogging/Twitter buddies but Shary is also a trusted critique partner, so we’ve had the opportunity to talk on the phone several times, but this was our first in-person meeting. Shary was lovely and welcoming and the tour of her garden and neighborhood was a lot of fun, but I have to say that a true highlight of my visit was Lola. She is one smart dog, let me tell you. Not only does she help Shary with her blog posts, but she is a master at tricks! She does the usual: sit and stay, down, but then… on command she can also do a high five, wave with both paws(! ), crawl along the floor on her belly, and perform a twist and a ric (turn one way then the other). She also knows the difference between her inside and outside tennis balls, and she alerts Shary when there are airplanes “in her airspace” or squirrels and birds in the trees. In addition to her great intelligence, she is light on her feet, and her fur is beautiful and soft. She’s also one of the snuggliest dog I’ve ever met. Shary says Lola has faults, but I don’t actually believe it! After a delicious dinner with Shary and her husband, I had a great night’s sleep and for breakfast some of the most delicious California grapes I’d ever had (no, this is not a paid endorsement for grapes or for San Diego, either), I hit the road with a travel mug filled with delicious coffee, heading for my next destination: blogging friend Melissa Crytzer Fry’s desert abode. More about that later this week! I feel incredibly lucky to have met Shary in person. I only wish we lived closer by so we could meet more than once in a blue moon! Thank you again for being so welcoming, Shary! Have you ever met a blogging friend in person? Please share your experience! The Great Crow Experiment is a non-scientific study conducted by wordsxo scientist-wannabes—MEH (My Engineer Husband) and me. As previously reported in MEH and the Crows (citation: wordsxo) and Science News (citation: Science News), American Crows are extremely intelligent animals. The hypothesis of this experiment is that Corvus brachyrhynchos (American Crow) has the ability to recognize individual people and individual cars. 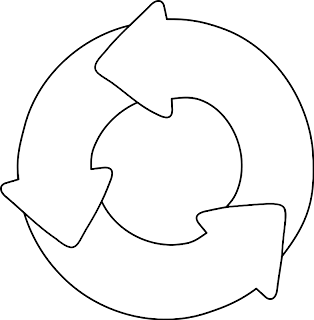 Part 1 of the experiment presented the hypothesis, materials, and method. This post, Part 2, presents Results, Conclusions, as well as opportunities for further research (i.e., things we just don’t know the answers to). On September 7, 2011, we started to feed the crows at the sports and recreation area where we walk our dog—about 1.5 miles from our house as the crow flies. October 7, after a month of feeding the crows, and as evidenced by the Crow Log audio below, the crows definitely recognized us and waited for the peanuts. This is especially significant because we were not at the usual location (the softball field) but were instead at the nearby baseballfield. This indicates the crows saw our car (and/or us) and came to that spot for peanuts. Other cars did not elicit this response. in the audio recording! Gorgeous! On October 22 we were in a nearby town (about 10 minutes from the recreation area) and the crows saw us in the nondescript white station wagon and sat in a nearby tree and cawed at us, apparently waiting for us to give them peanuts. On October 23,when we came out of our house, there were three crows in the tree outside our back door—this is the first time we saw crows in the trees around our house. We believe these are the same crows that we feed at the recreation area. “The Gang of Seven,” a murder (group) of seven crows recognize our car; and we believe they also recognize us and our dog, too. We believe these same crows may come to our house for peanuts—although we’re not sure it’s the same crows. · Crows are very smart and definitely recognize our white nondescript station wagon, but they do not seem to recognize our dark blue even-more-nondescript sedan. · We think the Gang of Seven recognizes us, too, because they turn around to look at us when we’re walking at the recreation area. · Crows are very shy. Most of them fly away as soon as our back door opens—however, there is one larger crow that I’m convinced recognizes me because he/she does not fly away when I come out the door but instead sits and watches me. · Putting peanuts in your yard will attract crows but will also attract squirrels, chipmunks, and Blue Jays (also in the crow (Corvid) family). All of these are less shy than crows, and will come to get peanuts while we are in the yard (crows will not). · MEH can drive and shoot videos (backwards!) at the same time—this is not a recommended activity but he only does this on a dirt road when no other cars are around. · Many people we’ve talked to about what we’re doing have said they don’t like and/or are afraid of crows (some associate them with danger, death, Poe, or The Bob Newhart Show). 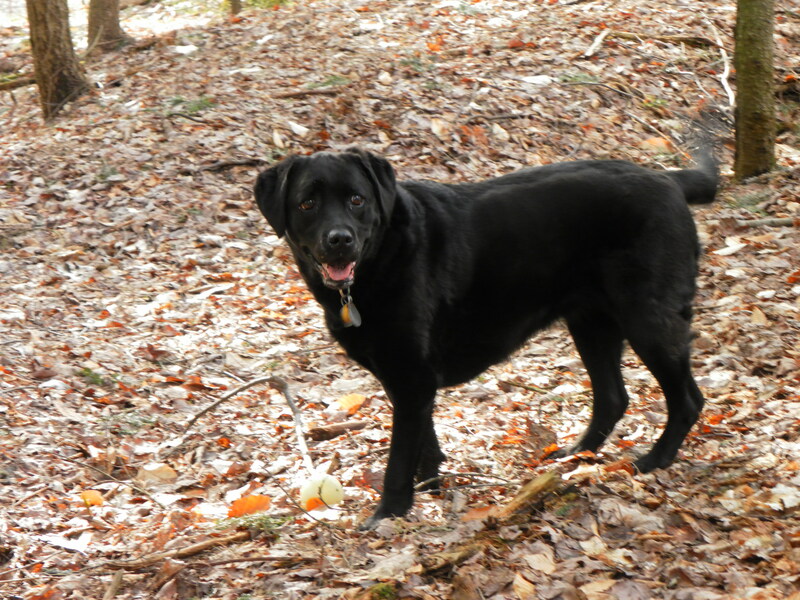 · Dogs (at least our dog Abby) love peanuts and will eat them shells and all (crows do not eat the shells). · Peanuts are scarce this year because of drought conditions experienced in the south—and this has driven up their price (peanuts are expensive). Incredible. To have this weather in November is spectacular. The view from the overlook was phenomenal today. And it was a little surreal to watch the two Great Danes on the beach. (I truly thought they were ponies as we pulled into the parking lot!) An absolutely stunning day that words cannot do justice. Meanwhile in the garden… we are clearing up the garden beds, going through a rushed fall clean up following last weekend’s surprise snowstorm. Almost every trace of the snow is gone now so today we’re tidying up: raking beds and some leaves, planting some daffodils, putting up a new mailbox (our old one was rusted through), mowing down the mint, pulling carrots, and putting away trellises, bean poles, etc., etc. Later today I’ll make a big pot of chili that we can eat for several meals this week, and then I’ll get some editing done on the WIP while MEH (My Engineer Husband) writes code to display graph overlays on a scientific instrument. Here’s what the perennial bed looked like in July, what seems like yesterday! This is how the perennial flower bed looked after we finished cleaning it up. (That really WAS yesterday!) Later today we’ll plant Daffodil bulbs in this flower bed! It’s been raining off and on this week, and this morning we went to the bridge overlook in the pouring rain to make our weekly video. Usually we take our videos on Sunday, but tomorrow a half marathon road race will close roads and make it impossible for us to get to the bridge. What a difference a week makes—last week the beach (and bridge) were totally socked in with thick fog. This week, it was a beautiful, albeit wet, view. We timed our arrival with very low tide in hopes of seeing and recording some seabirds, and we were not disappointed. If you look above the tree on the left, you’ll see a Great Blue Heron (GBH) standing in the water. But wait for it—at about the 17-second mark the GBH takes flight. It took me a few seconds to figure out why. And then I saw a dog, running down the length of the beach chasing the bird. The dog’s owner comes into sight a few seconds later. I couldn’t help but feel disappointed that I didn’t get a longer look at this beautiful bird. Meanwhile in the garden….we haven’t had a hard frost yet (which will kill most of the vegetables) so we are still harvesting the few non-blighted tomatoes, peppers, and beans. Swiss chard will survive a hard frost, and we’ll be harvesting kale until it’s buried in snow (and if it’s like last year, it will survive until next fall!). We also had a surprise! A small crop of late new potatoes—which we combined with green pepper, spring onions, eggs, and cheese to make one of our favorite breakfast scrambles! I wake up early, early enough to see the sunrise every morning—some days too early. If I had my way, that’s when I’d be writing—first thing in the morning, a cup of coffee nearby. When our children were young, MEH (My Engineer Husband) was chief dog walker: he’d head out every morning to take Sadie then Bo then Abby to run free in a nearby open space. And me? That was my writing time. Before our two kids woke up, all was silent and still, and I wrote. These days, when I’ve “gone writin’,” I still wake up thinking about my work, my writing: my first thought of the day. But nowadays I’m by MEH’s side, taking Abby to Dog Woods Park. When I come home, a little after sunrise, I write. When is your preferred writing time? I took today’s video yesterday because bright and early today we left to take our daughter back to college (junior year) out of state. She’s only been home a week from her internship, so it’s hard to say goodbye! It’s always a bittersweet trip that you can read about it in this post. photo but I only had my iPhone with me! Every morning we go for a walk at The Dog Woods Trail, and usually our path is pretty predictable: once around the baseball field or down a road to the short loop designated for dogs. But, for some reason, this morning our old dog decided to go off the beaten track. As we followed her down the unfamiliar path in the woods, I realized that sometimes as writers we go off the beaten path, too. On a dog walk, it can bring the thrill of seeing something never before seen, like a new bird, a freshly blooming wildflower, or the early-morning sun slanting through newly-leafing trees. Or maybe the not-so-fun: wading through an unfamiliar mud patch or ending up with a tick from traipsing through the dense thicket. In writing, off-the-beaten path can be a new direction. In my case, leaving the familiar terrain of journalism and technical writing to follow a new path of fiction, creative nonfiction, and blogging. By going off the beaten trail, I’ve given myself permission to write and blog about things I might never otherwise have considered—like the other day when I wrote a blog post about a “home” in a dead tree in the woods. With the unexpected consequence of some readers thinking I might believe in fairies, it was a fun nonetheless to dabble in fantasy, a genre I’ve never before tried. Or last month when I blogged about something intensely personal: my brother’s sudden death—certainly a path I never would have even considered before blogging—which brought the unexpected but most appreciated solace and sympathy from new writer friends. Sometimes writing off the beaten path pays off in other ways, like a few years ago when—on a whim—I decided to write a short romance story that ended up being accepted for publication in a mainstream, national women’s magazine. 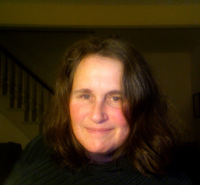 And sometimes trying a new direction offers personal unexpected rewards—like how my blogging has led to a renewed commitment to writing of all kinds and to connections with other writers I never would have met otherwise. So, as chance-y as it might sometimes be, this writer will take a lesson from her old dog and keep taking journeys off the beaten path. Who knows what it might turn up next. What writing (or life) journeys do you take off the beaten path? What are the results? Are they the ones you’ve expected or have there been some surprises? Every morning MEH (My Engineer Husband) and I walk our dog in a nearby place I affectionately call (in this blog) the Dog Woods Trail. Most mornings it’s a simple and beautiful walk, slow and sauntering now that Abby is older: once or twice around the baseball field. We have plenty of time to take in nature’s beauty. 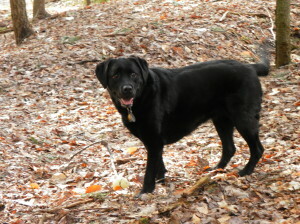 Some days we’ll venture further afield into the woods or to a nearby stream where Abby will take a dip. 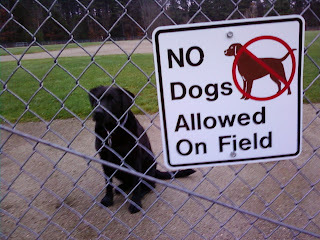 And then, every once in a while, Abby goes outlaw and ventures onto the baseball field—which technically is not allowed. Late last fall, the Bad Chipmunk and I had a bit of a run in. 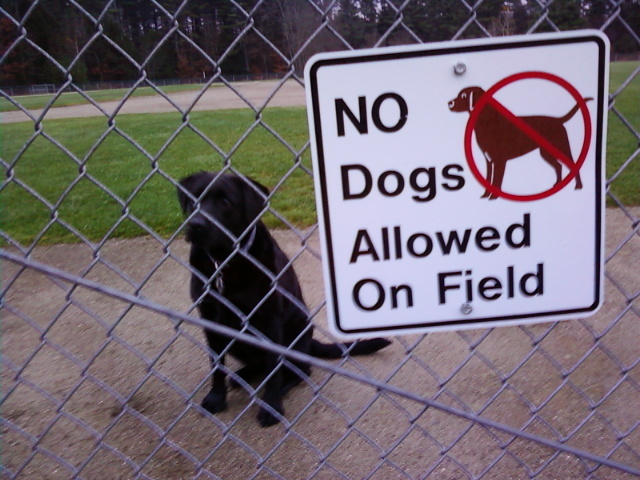 In actuality, the Bad Chipmunk yelled at me for having my dog in the wrong place: the baseball field. Now to be completely fair to the Bad Chipmunk, there is a posted sign: “No dogs allowed on field.” But a light snow had fallen, ice was freezing on the covered pitcher’s mound, and the season was a distant memory. But the Bad Chipmunk—whose own dog, while she was yelling at me, ran over to me, jumped up on me, and grabbed with his teeth (playfully, but still) my gloves while they were on my hands—chastised me for having a dog on the baseball field. She then departed, letting me know in no uncertain terms that she was a steward of the land, and I better behave. This rebellious human mom may or may not have left an angry note on the Bad Chipmunk’s windshield about one Bad Chipmunk ruining a perfectly good dog walk. Which I do. And, knowing there was no rule made it easier to go back to the Dog Woods the next day. But not much. Now, every time I see the Bad Chipmunk’s car I cringe. And this morning, for the first time since last year’s showdown, I saw the Bad Chipmunk herself….when she called out a hurried “good morning” as she headed speedily down the trail, half-heartedly yelling at her dog to come with her (although he was too busy to listen because he was jumping up on me and nipping affectionately at my now glove-free hands). As much as I tried, I had the troubling feeling all through our walk that we were being watched. Somewhere, somehow, the Bad Chipmunk from her small woodland home was keeping her eye on me. Knowing I wasn’t doing anything wrong didn’t help one bit. Are there any Bad Chipmunks in your life? How do you keep them from getting you down? P.S. In case you’ve never seen it, here’s the Osmonds rendition of One Bad Apple on youtube. MEH’s the one in the middle, rocking the falsetto. We missed the official low tide (5:38 p.m.) by just two minutes, but the tide was plenty low—fully exposing the mud flats. Even though it was 5 degrees warmer than last week, it felt much colder because the wind was howling! Still, signs of life continue to pick up: if you look closely, you can see two walkers with their dog at the very tip of the sand bar. The birds are everywhere, very active: swimming, flying, and feeding in the mud. All the snow and is gone on the beach, and most of it is gone on the pathway to the beach. It’s really starting to feel like spring (which is good because today is the first real day of Spring!!). Happy Vernal Equinox! One final note, we returned to the bridge overlook during the Super Full Moon rising last night—spectacular—reflecting an orange-red streak across the water. We took a video, but it just did not do it justice, so I won’t post it here. Take my word for it: breathtaking and well worth the second trip to the bridge overlook! Incredibly inspirational! A writer’s life. Wake up. Make coffee. Drink coffee. Check Email. Check Twitter. Respond to email. Start writing blog. Take break. Drink coffee. Check email. Check Twitter. Go back to writing blog. Alone. Most of the time. Get in car. Drive to coffee house. Friend arrives. Talk. About her looking for work. My blog. Her dysfunctional family. My dysfunctional family. Laugh. A lot. Get in car. Go home. Write. Go to store. Buy butter, milk, bread, tortillas, beans, avocado, tomato. Go home. Write. Sit at computer. Dog nudges. Needs walk. Stand up. Put on jacket. Walk outside in the sun. Even for a just few minutes it feels really good. Cold but warm. Go back inside. Take off jacket. Sit down. Dog goes to her bed. Sit at computer. Write. Get in car. Go to library. Check out books that someone else wrote. In her house. Somewhere. A writer’s life. Alone. She writes. I read. p.s. What’s the pattern of your life? Do you ever feel like you’re in the movie Groundhog Day? This morning it warmed up to 3.7 degrees F before I had to take the dog out. Most mornings in winter, My Engineer Husband (MEH) happily takes her out to the “Dog Woods Trail,” where we’ve been going for the past nine years. And when I say happily, it’s because I’m happy I don’t have to go. MEH and I laugh as he puts on his four layers of pants and shirts, three sets of socks, great big winter boots, and his huge L.L. Bean parka. He assures me it’s not overboard, but I always wonder. MEH is rarely out of town, but when he is, it falls to me to take the dog. This morning I wanted to wimp out. 3.7 degrees, warmed up from zero when I first got up. Too cold. But I don’t like to wimp out. 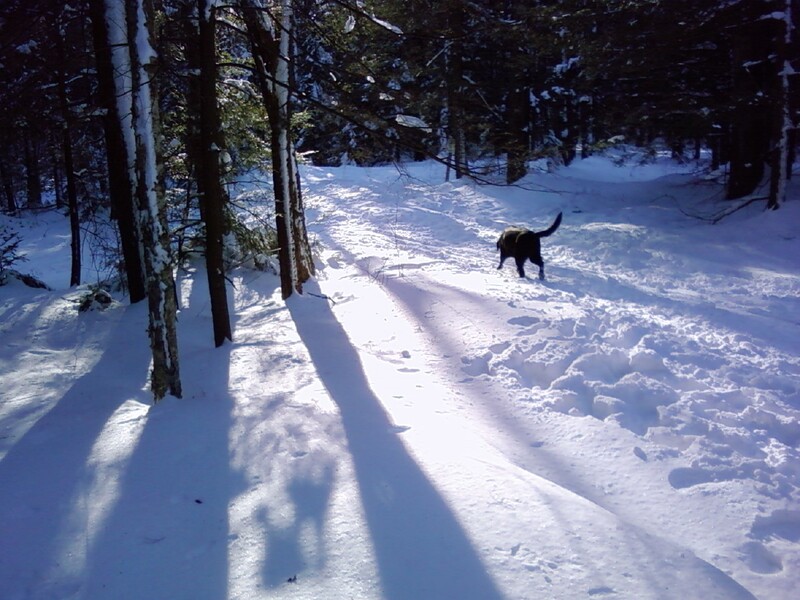 Plus, I told myself that it would be inspirational for the fiction I’m writing; there are a lot of scenes where my protagonist, Maggie, walks outside with her dog in the winter and it’s cold…. you can see why I need the inspiration. It was very very cold at Dog Woods Trail. So cold that when I breathed and my breath condensed inside my ski mask, it froze almost immediately. The inside of my nostrils froze. Abby’s whiskers froze, and she had frosty glaze on her black fur. And I had plenty of time to reflect, gather information, be inspired by, and in general observe the freezing cold morning because Abby, in her infinite dog wisdom—that we humans can only hope to someday understand—left her toy somewhere midway through the walk, and we had to turn around to find it. Still, I’m inspired. My character, Maggie, still hates the snow and cold, and she’ll be happy when her husband Joe returns from his latest business trip. But not because the late-winter woods aren’t beautiful. They are. And the sight is incredible to see. 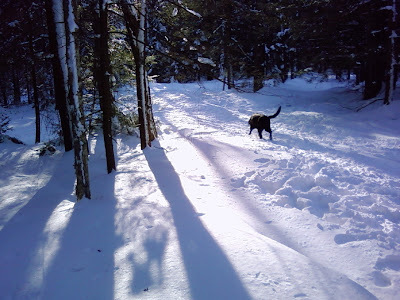 The snow was piled high everywhere, even where it didn’t fall—the wind shifted it to between the trees, around the rocks, and in every imaginable crevice and opening through the Dog Woods and out onto the trails and fields. The fence surrounding the parking lot had all but disappeared, with only the tip-tops of the posts to see. Maggie almost forgot the cold as she marveled at the absolute volume of snow, if nothing else. She followed the path through the woods that led her to the same circuitous trail they always took, around the ball fields, which the dog—and she—happily traced, trudging slowly where it was icy slick, being careful not to fall. She was extra careful to step around all the piles of frozen poop that had been left by other walkers’ dogs. Or maybe by the dog with the cross-country skier, who glided effortlessly past her earlier in her walk. He meant to pick it up; Maggie was sure of that. Finally, just when Maggie wished she had worn the third or fourth layer like Joe suggested, she and her faithful companion reached the car and—none the worse for wear—headed gratefully home to its wonderful warmth. Looking forward to your comments about my winter observations and yours as well. If we can’t get inspiration out of this crazy winter weather of ours, then what is it good for? Do you enjoy the snow or are you just looking forward to spring (or a little of each)? How do you catch a mood or feeling for writing from your character’s point of view? My daily writing companion is Abby. A beautiful black lab and also my kindest critic. At almost-nine, she’s slowing down. And I am coming to terms with the fact that she won’t be around forever to be my biggest fan. Still, she is the one I spend all day long with, and she is the quintessential dog. When Abby was a puppy, she was diagnosed with hip dysplasia—one of the worst cases the vet had ever seen. If you’re a dog lover and you don’t know about this terrible condition, then count yourself lucky. Canine hip dysplasia is an abnormal formation of the hip socket, that affects (mostly large) dogs, causing friction in the joint, and usually leads to osteoarthritis. Like Abby has. I’m not going to lie, it’s been hard to watch. Before she went on heavy duty NSAIDs (non-steroid anti-inflammatory drugs), some days she would stay in her favorite chair all day, not moving any more than she had to. She would go out for the obligatory walks, but not with her usual zest for life. Love of life is what makes Abby the amazing dog she is. We always say she’s the most outgoing one in the family. Everyone knows her on the dog trail in the morning, and when we walk around town, she’ll sit and wait for someone we don’t even know to catch up with us, just so she can say hello. At corners, she looks in each car, hoping to make a new friend. She’s a people person. Before Abby, we had other dogs, and I had dogs in my childhood. But I think of Abby as my true love dog. Still, I have to admit, Abby does have a few bad traits. Like drooling. Serious Pavlov material. And sniffing. A walk around the block can take forever. It takes her five minutes to sniff up one side of a blade of grass and down the other. She knows every scent in the neighborhood cold. My husband jokes that her nose tells her the stories of the neighborhood. If only her nose could talk. On the whole, dogs don’t get much better. She’ll plop her head in my lap to get my attention, she’s the only dog I’ve ever seen who can wag her tail in a circle, and she never barks, growls, or rips anything up. When people come to visit, she’s always happy to see them and is sure they are here just to see her. On top of all this, she loves to listen: about heartache as much as good news, and everything and anything I’ve ever written. Especially if she gets a dog biscuit at the end. When she was younger, Abby came with me every time I went out of the house, right by my side. She loves riding in the car. But now it’s harder for her to jump into the back of the car, and about six months ago, on top of the osteoarthritis she was diagnosed with a form of canine rheumatoid arthritis. Very rare in dogs, pretty mild in Abby’s case. But she’s really slowed down. She’s just as happy now on her dog bed by my desk or in her chair by the door. Always nearby to happily greet visitors with a wag of her tail. And always close by to her daily companion and biggest fan—I’m right by her side. Do you have an animal that inspires your writing? Or is your daily companion?